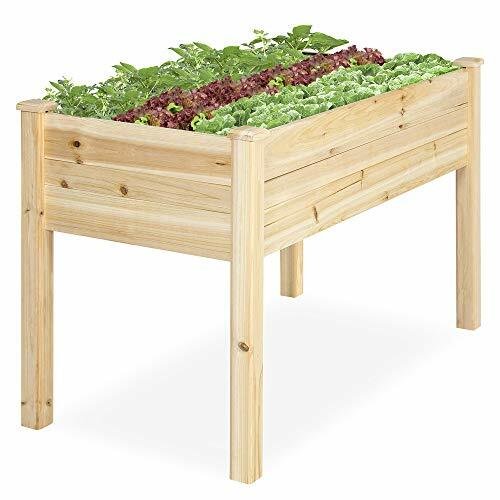 The deluxe garden planter is perfect for vegetables, flowers and herb gardens. It makes gardening easy on your back and knees. The shelf can be used for additional flowers or storage. 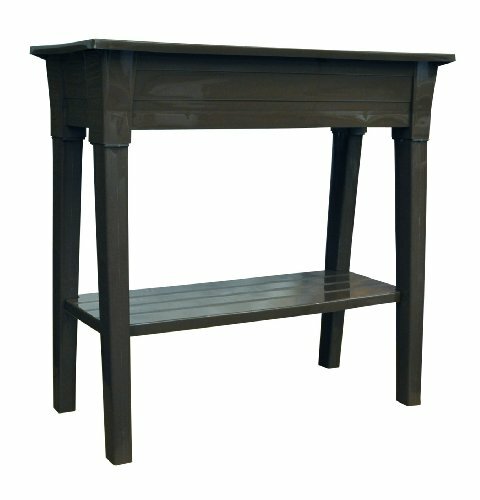 It has an easy to open drainage hole and the legs and shelf are removable for easy storage. They are strong and sturdy rated to hold up to 150 pounds. 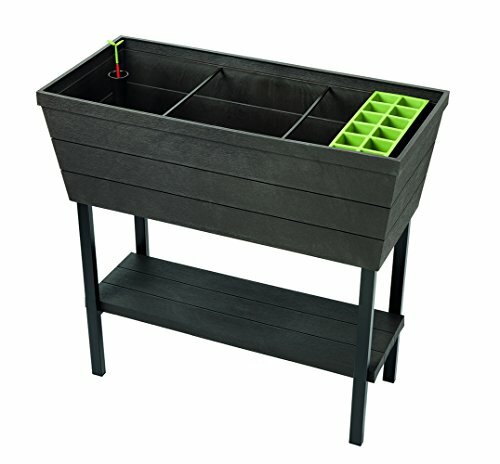 Includes 1 planter, 4 legs and 1 shelf. This product weighs 11.68 pounds. Available in desert clay color. Measures 36-inch length by 15.5-inch width by 34-inch height. 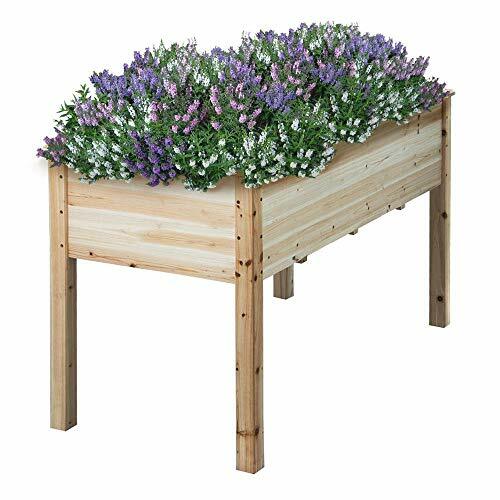 Get your hands on this sturdy herb planter made of durable cedar wood & create both practical & attractive plant displays of herbs. Ideal for a small garden, patio or balcony. 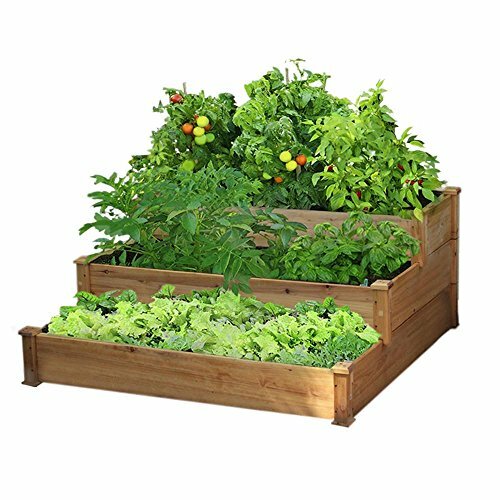 This easy-to-assemble planter is raised to the ideal height that allows easy-to-harvest herbs without you needing to crouch down or compromise your posture. 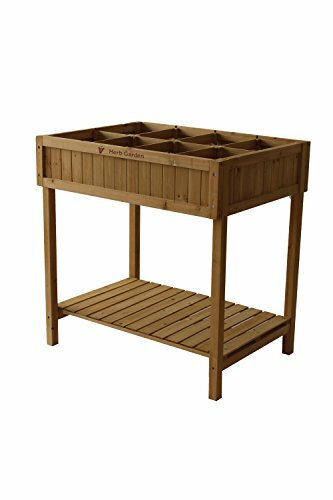 A pre-formed liner & herb divider is included with the planter; a useful addition which keeps the herbs in separate pockets & the soil healthy & well-aerated too. 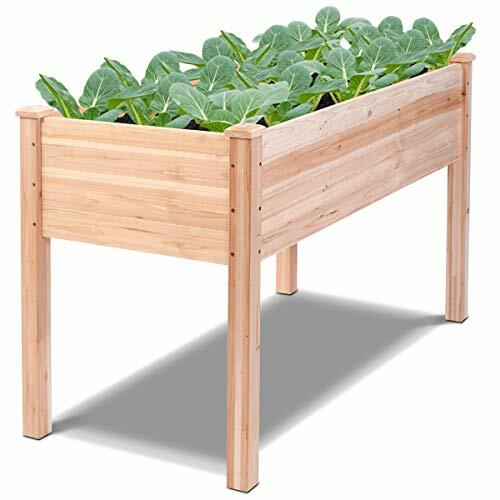 Made from 100% FSC plantation cedar wood, you're investing in a solid & durable wood that's a naturally good insulator, keeping the soil warm within. Great news for your herbs, as warmed soil encourages healthy root growth, which in turn creates strong & leafy plants. 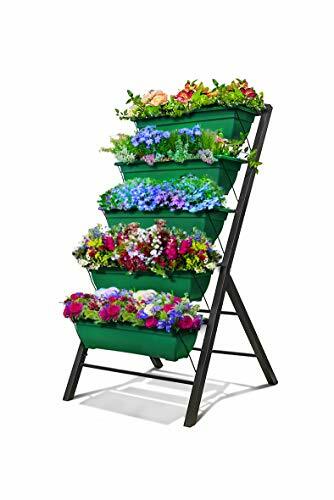 With a handy lower shelf, it's great for storing tools & products like watering cans & seed packets off damp ground & near to the planting area itself. Size: 67.2"x 67.2"x 11.8"67.2\"x 67.2\"x 11.8\"